Last Christmas, I received the most extraordinary present I ever expect to receive. It is Charles Dickens’ inkwell. In the week before Christmas, I paid a seasonal visit to photographer & collector Libby Hall in Clapton and, as we sat there beside a table groaning with festive treats, she handed me a parcel with the words, ‘I thought you should have this.’ It is a phrase often used when gifts are presented but it was only when I unwrapped it that I discovered the true meaning of her words. What better gift could there be for a writer than an inkwell that once belonged to Charles Dickens? 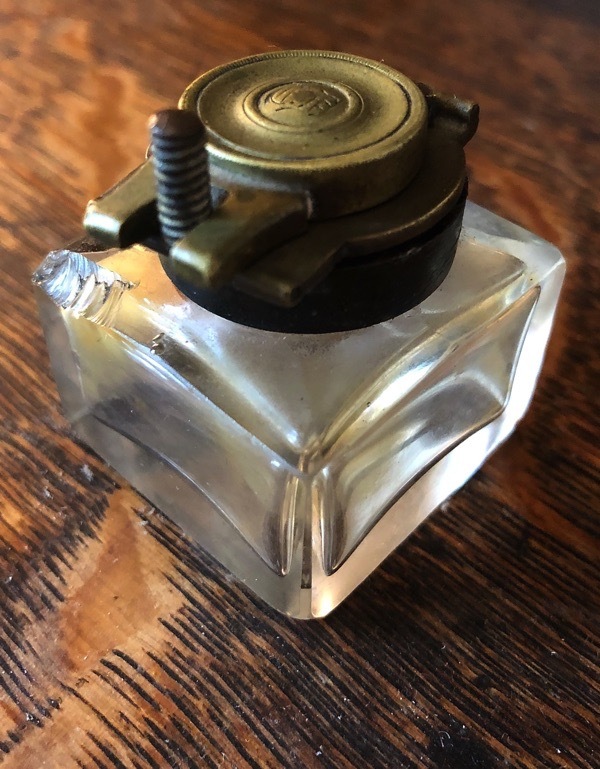 It is a small travelling inkwell which screws shut and that a writer might easily carry in a pocket or bag, as Dickens did with this one when he visited America in 1842 and left it behind. Barely larger than a pocket watch, it is a modest utilitarian item comprising a square glass bottle and a hinged brass top with a screw fixture to hold it shut. What distinguishes this specimen are the initials engraved on the lid in tentative gothic capitals, C.D. Libby told me that it was a gift from her friend Cinda in New York whose father had been given it in 1949/50 by a Dr Rhodebeck. All Cinda can remember is that the Rhodebecks were a long-established family in Manhattan who lived in Park Avenue near 86th St. She understood they had been custodians of the inkwell since the eighteen-forties. 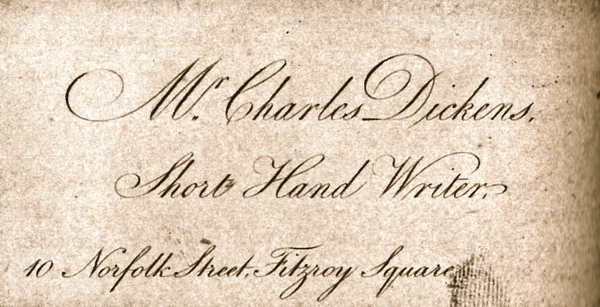 Charles Dickens’ first visit to America, which he described in his American Notes, proved a great source of disappointment to the young writer. Although his books were bestsellers and he received universal adulation, there was no law of copyright and he earned no income whatsoever from his sales there. He arrived with an idealistic view of America, imagining a democratic, progressive society without the handicap of decayed old-world aristocracy. What he discovered was the brutal reality of slavery, inhuman prisons and rampant gangsterism. It was also the first time that Dickens encountered the full wattage of his own celebrity, forced to flee through the streets of Manhattan with crowds of over-enthusiastic fans in pursuit. Yet he rose to the occasion by acquiring an ostentatious wardrobe of new outfits, even if he was spooked by the fanaticism of those who wanted to steal the fluff from his coat as souvenirs. This raises the question whether Dickens mislaid the inkwell or whether it was appropriated? A chip on the top left corner of the bottle suggests it might have been dropped and then discarded. The wing-nut which secures the lid is missing too and the brass top has come adrift, perhaps indicating that the inkwell was damaged and was no longer considered of use? At this time in his career, Dickens used black iron gall ink which is a corrosive, explaining why the metal top came off the bottle. Seeking further information about the inkwell, I took it along to the Charles Dickens Museum in Doughty St where curator Louisa Price agreed to take a look and she confirmed that it is an inkwell of the correct period. We searched the Collected Letters and back numbers of the Dickensian to no avail for any mentions of a lost inkwell in America or the Rodabeck family. Then Louisa brought out a selection of engraved personal items belonging to Dickens from this era for comparison and we could see that he preferred his initials in gothic capitals over the roman or cursive alternatives that would have been available. The most persuasive evidence was an inkwell from Dickens writing box which once sat upon his desk. Less utilitarian than the travelling version, this example nevertheless had an almost identical bottle in size and design, and although the large brass screw top was more elaborate, including his symbol of the lion recumbent, the gothic capitals were similar to those on the travelling inkwell. 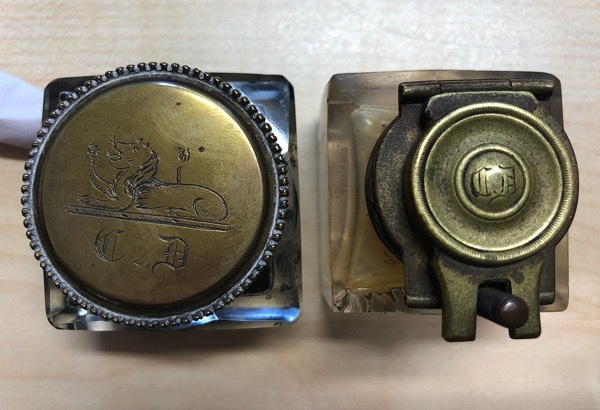 Louisa Price concluded that the inkwell feels right and there is no evidence to suggest it is not authentic, but it would be helpful to uncover evidence linking Charles Dickens and the Rhodebeck family. So this is where I need your help, dear readers. I know that many of you are researchers and some of you are in America. Can anyone tell me more about the Rhodebecks or find any literary connections which might link them to Charles Dickens and establish the provenance of the inkwell? 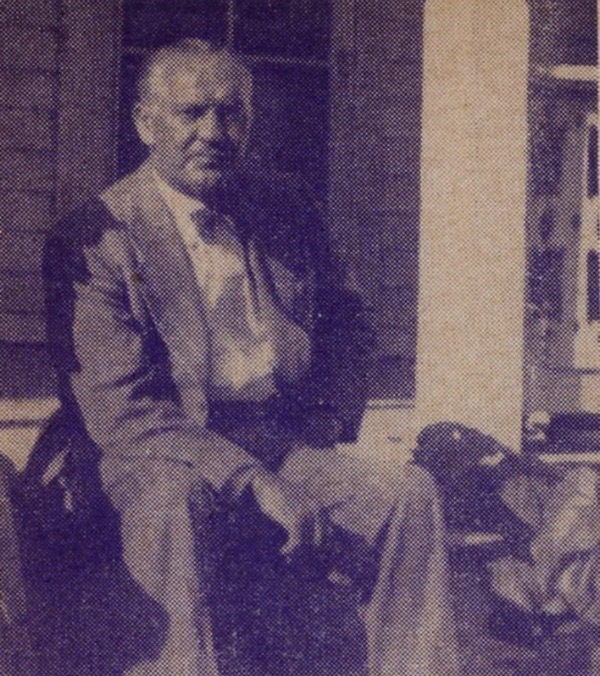 Dr. Edmund Jean Rhodebeck, b. 1894 had an office at 1040 Park Ave (near 86th St) and a residential address nearby at 1361 Madison Ave. He was a collector of literary materials, including a copy of The Works of William D’Avenant with Herman Melville marginalia. He also wrote an article about Kateri Takakwitha, a Mohawk woman considered for sainthood, for a 1963 newsletter. His father was Frederick, born in the 1860s and his grandfather was a Peter Rhodebeck, born c. 1830 who worked as a saloon keeper on Broadway c 1880, but in New York directories for 1867 and 1868 is listed as a ‘driver’ at 124 West First Avenue and then West 49th St.
Can anyone tell us more about Dr Rhodebeck and his literary collection? As a long time reader of your wondrous blog, I regard this as one of the most charming posts you have done. I hope you have many hours of pleasure simply looking at this lovely object. And what a great way to be given such a gift. She was right, too. an idealistic view of America, imagining a democratic, progressive society without the handicap of decayed old-world aristocracy. What he discovered was the brutal reality of slavery, inhuman prisons and rampant gangsterism. Hasn’t changed a bit, really, has it? That is sooo cool. Must be great to have a piece of history on your desk. This really is a fantastic gift. I am as pleased as yourself in reading your storey and how it has been given to someone who really appreciates its history. Should have added,it’s called BLEAK HOUSE! You must know it well? Lucky you GA and how kind of Libby Hall to give you such an intriguing gift, I hope so much that someone will come up with the evidence that you need that it was indeed Charles Dickens’ inkwell and that it was left behind in America. I wish that I could help but, although my two writer/journalist relatives knew Dickens, nothing connected with him survives in my family worse luck. I do have one of the glass bottles that an inkwell would have fitted in but the brass inkwell is long since lost and it certainly never belonged to Dickens more’s the pity ! 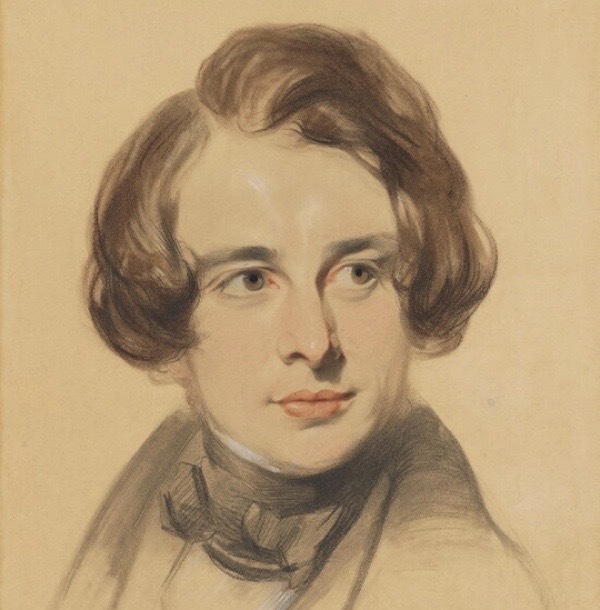 When Kate Douglas Wiggin was a small child (and precocious reader of Dickens) she was disappointed that she was not allowed to attend Dickens’s appearance in Portland, Maine. To her delight she found him, the following day, on the train to Boston. She engaged him in conversation the entire length of the trip – recounted in her memoir. There is no mention, alas, that he gave her an inkwell. It would have been an appropriate gift as she became a well known author. While her books get no recognition today, except scorn for their resolute optimism, she should be remembered for her significant contributions to early childhood education and welfare. GA, wow, what a story! You certainly deserve the ink well of Dickens. Obviously its owner Libby Hall treasured the object and wanted to be make sure that it remains in good hands. And to think it was lost on Dickens first trip to America in 1842. The author did accrue considerable acrimony on this side with his frank discussion of our mores, particularly the scourge of slavery. But all was forgotten on his second tour when he landed in Boston in 1867. There he mingled with the local (dare I say more refined) notables including Longfellow and Emerson. The trip was an immense success. You describe it as a “modest utilitarian item” but I feel it is somewhat exclusive. Even most of the relatively small number of people who regularly wrote (clerks, secretaries etc.) probably wouldn’t have used anything like this. Not grand enough for the desk of an aristocrat but a prestige item nonetheless. It would be nice if you were some day able to prove its provenance. Are there any other markings on it, such as a manufacturer’s name? I knew Dickens was not impressed by the USA but I wasn’t aware of the “Beatlemania”. Maybe one day somebody will give you a piece of fluff from his coat! Is that a piece of thumbprint in the last image? The lines look a bit too straight though. I’d never heard of iron gall ink but did a bit of Googling and apparently it was made with vitriol (sulphuric acid!) so that it ate into parchment (nibs, clothing, flesh . . .) to make it more permanent. I found a company in Northern Ireland which still sells it. I don’t suppose you’d want me to post a link to a commercial company but it’s easy to find if anybody is interested. As far as who received the inkwell in his family? I think Dr. Rhodebeck was the one who purchased the item. Tracing his ancestors doesn’t expose anyone who worked in a field where one would have excess funds: father Frederick a ‘carriage trimmer’; grandfather Peter b. 1835, too young at time of Dickens’s visit; great-grandfather William, b. 1805 was a rope-maker. Of course, the inkwell could have been left behind in a hotel and someone via the various wives’ families could have had it. Lots of fictional options here. At any rate, Dr. Edmund Rhodebeck has been located. Good luck with any further searching and enjoy that inkwell, now coveted by all of us who enjoy the works of Charles Dickens. I am going to speculate here: I have a hunch that everyone who reads this today will nod and think how absolutely PERFECT it is that you received this gift, and will be filled with the joy that happens when a wayward object ends up in the most ideal heads. Just so. I am not only happy for you, but I am also happy for Charles Dickens…..and especially for US, because we are the beneficiaries of such rich and optimistic stories every day. Thank you, GA and CD. No-one called Rodabeck in New York City in the 1850 and 1855 censuses. A whole range of Radebocks, Ridabocks, Ridabochs, etc, etc, so it could be one of those. Living on 5th and 86th, however, puts this in Ward 21, which throws up no obvious contenders. [Sorry. Wrote this before seeing the excellent research by Linda Granfield. I was assuming th good doctor was around at the same time as Dickens. The most thoughtful gift for you. It is so perfect for our gentle author. I so enjoy following this blog and all of your thoughtful entries, which make for a brief respite in our ever more frenetic world. Thank you so much for sharing this lovely object with us. What an appropriate gift, GA. I had just started to do some research but see that someone beat me to it. I’ll just add that Rodebeck (var. spellings) sounds German, and the area where he lived (Park and 86th St) was known until just a few decades ago as Yorkville, the area where Germans settled in NY. A most worthy recipient of this historic artefact. A wonderful gift and so pleasing to look at, and how exciting to have had some of its history revealed already. I can’t think of a better recipient for the master’s inkwell than yourself! What a fascinating story, and what a wonderful gift. I do hope someone can confirm its provenance for you unequivocally. Just to add that the significant point about Peter Rhodebeck being a driver in New York in 1867 and 1868 is that this of course corresponds with the time of Dickens’s reading tour of America. On this tour, and in New York, Dickens lost a tiny pocket book diary, full of coded details of his life with Ellen Ternan. It is perhaps not entirely impossible that Dr Rhodebeck’s grandfather was given – or found – the inkwell. Or, perhaps more likely, the inkwell surfaced at auction at some later point, as did the dairy (now held by the New York Public Library) – and was then acquired by the doctor. I came across a vintage inkwell at an estate sale. I was told it belonged to someone who was obviously wealthy, as it is made of etched crystal with a silver hinged cap. It has the initials CWD engraved in gothic on the silver cap. 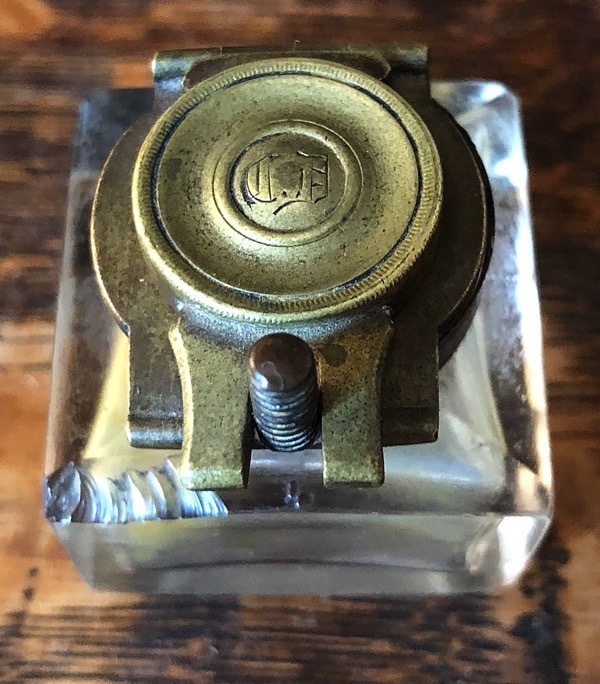 Would you have any background information about this inkwell? I found it interesting that the initials were Charles Dickens’ (except for the middle initial) and also in gothic. I appreciate any information you have to offer.